As Portfolio Manager, Steve Bowman assists in the development of your personal investment policy guidelines. Steve makes decisions about your investment mix while matching investment opportunities to your objectives—all while balancing risk against performance. 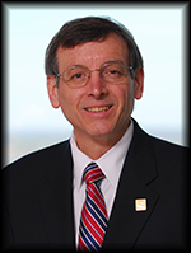 Steve has been in banking since 1979 and with Fifth Third Bank since 1992. Prior to joining Fifth Third Investment Advisors, he was in the Treasury Division, working with the bank's investment portfolio. Steve is married and has two adult children. He is a member of St. John the Baptist parish.